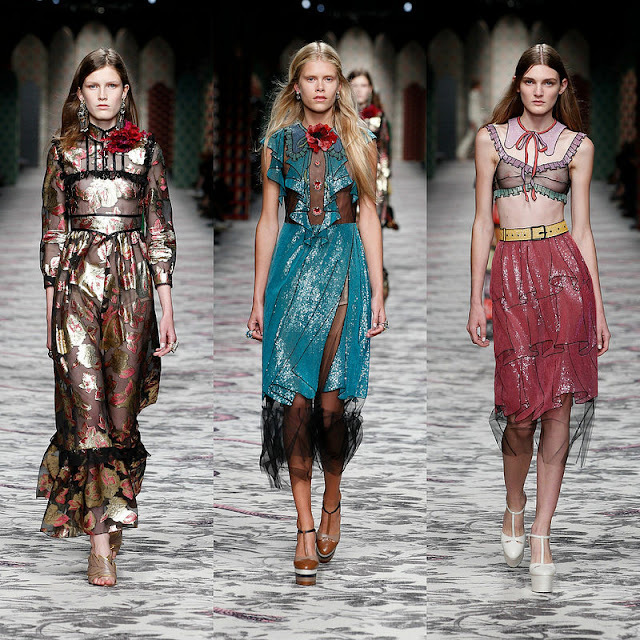 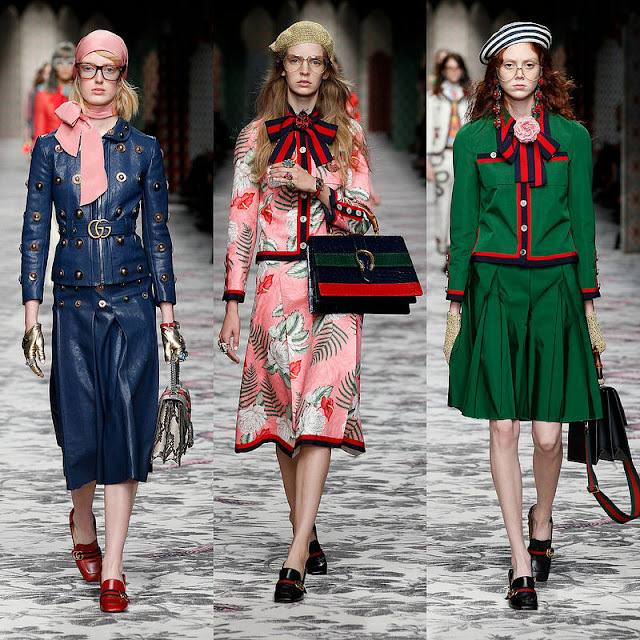 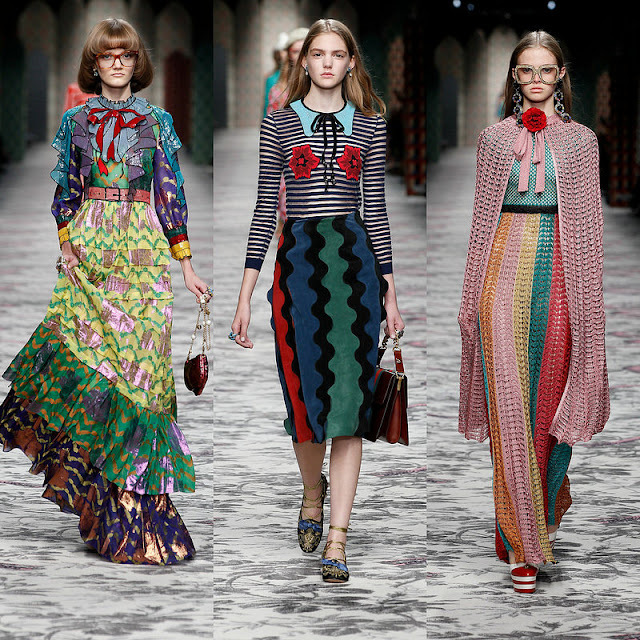 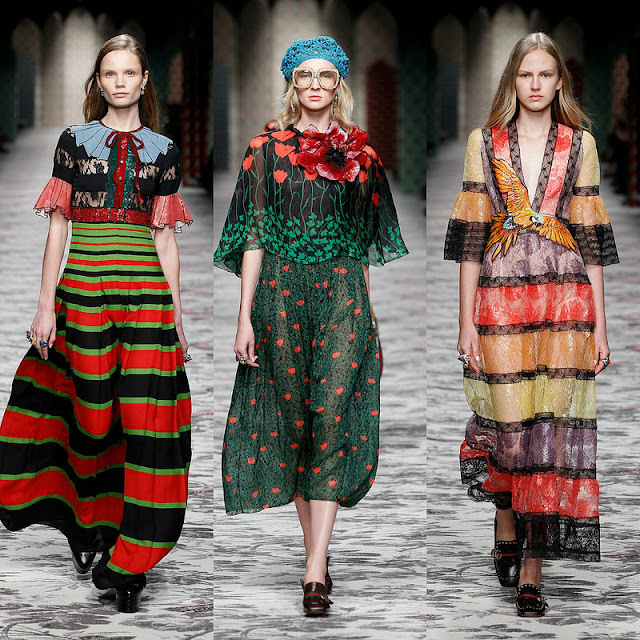 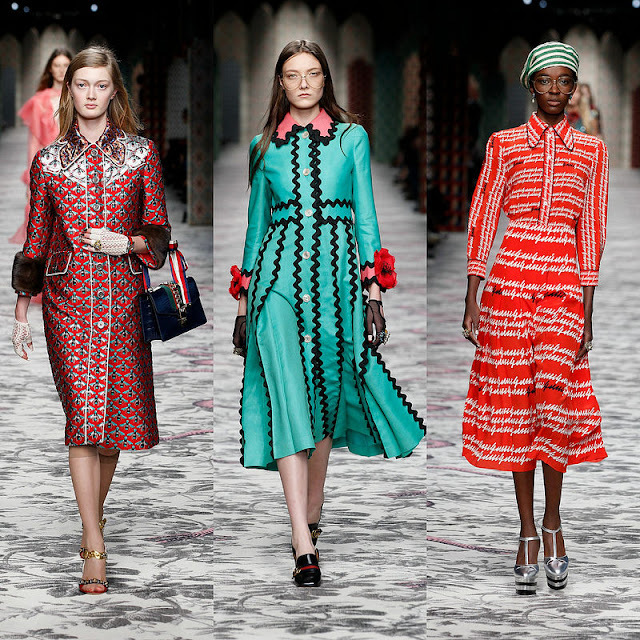 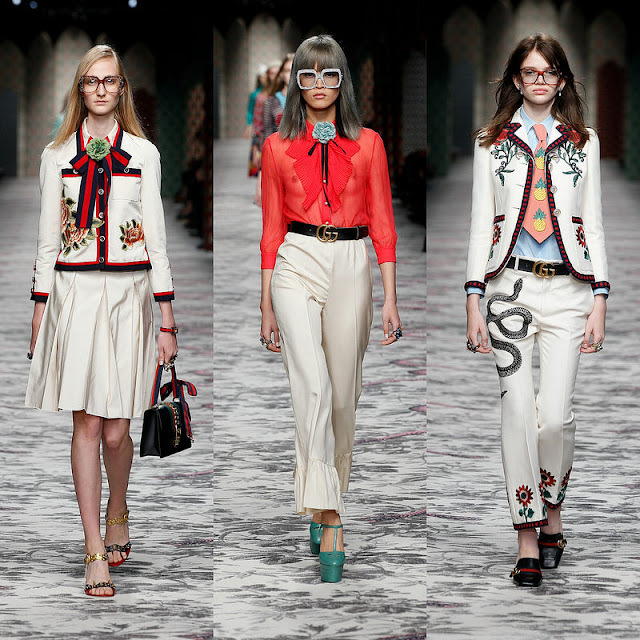 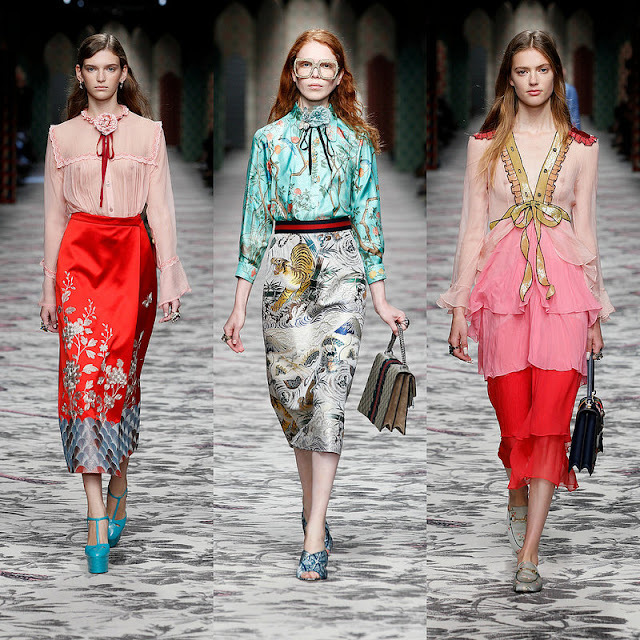 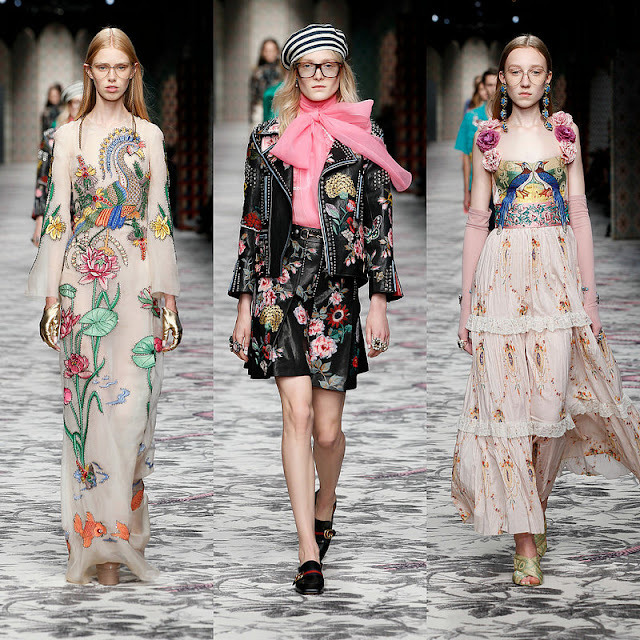 The Gucci spring/summer2016 collection explores the world with heterogenous references. 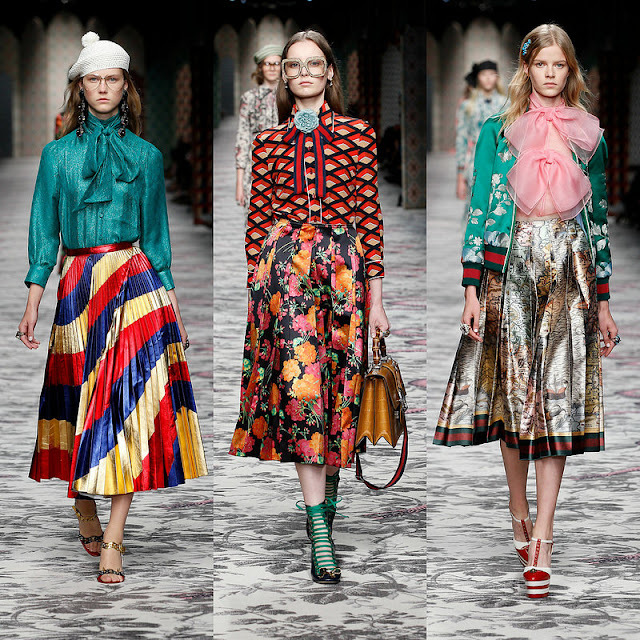 Inspired by the "Carte Tendre" published in 1654 by Madeleine de Scudéry, the collection is an atlas of emotions, an treasure chest of aesthetic references, a sentimental cartography in which patterns, extraordinary craftsmanship and rarified materials are interwoven. 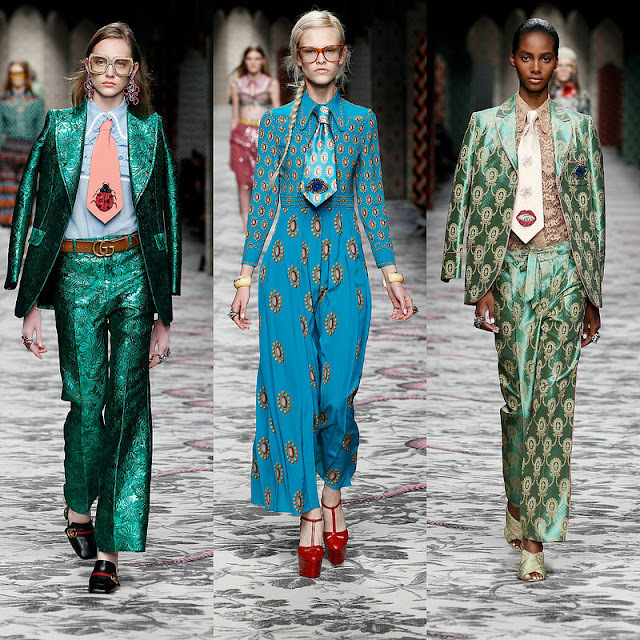 This exploration of the world results in a tender map where aesthetic dimension is deeply imbued in the political. 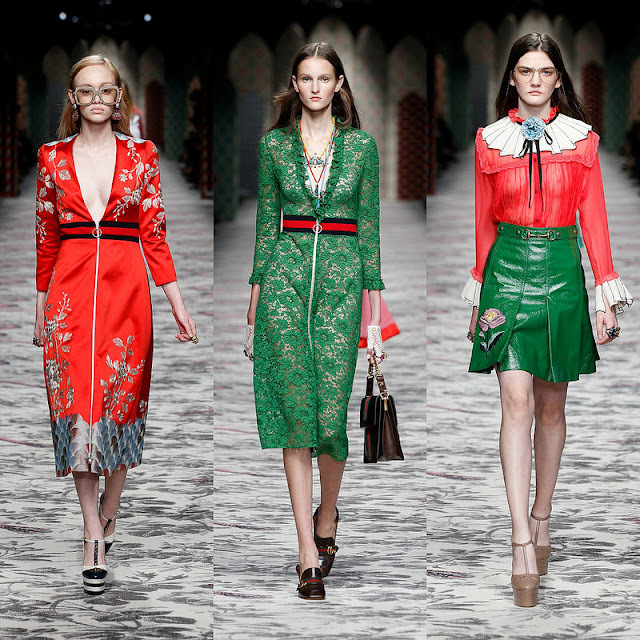 I invite you to enjoy some pieces of the collection signed by Alessandro Michele.